We know how much The Sims Team likes to hint at future content – whether they care to admit that or not. 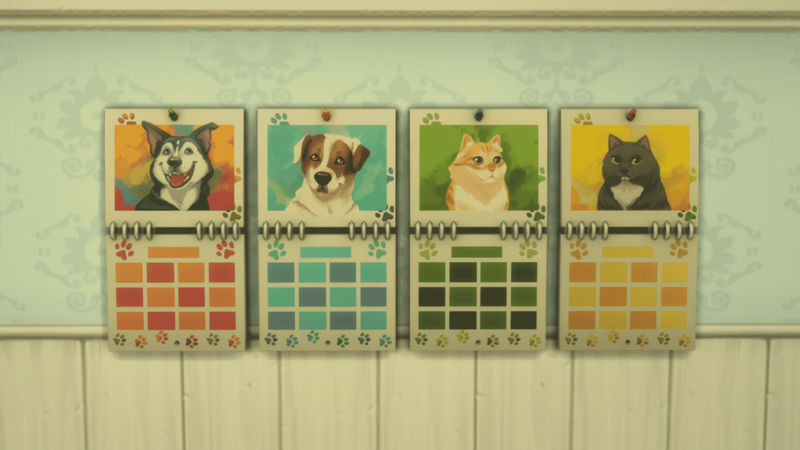 Back in May this year they released The Sims 4 Parenthood Game Pack where they included several hints for The Sims 4 Cats & Dogs. 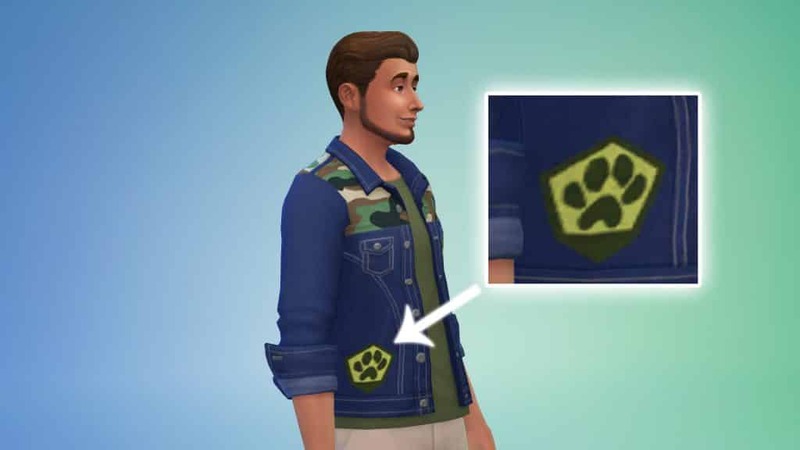 One of the most obvious hints is their hint at the Veterinarian Career in The Sims 4 Cats & Dogs. Just check out that object description! Now that we finally have The Sims 4 Cats & Dogs, it’s starting to feel like The Sims Team has a few tricks in their sleeves. Let’s check out some of the possible hints they’ve included in this Expansion Pack! Have you noticed anything strange about the Cavalier Cove Neighorbhood? 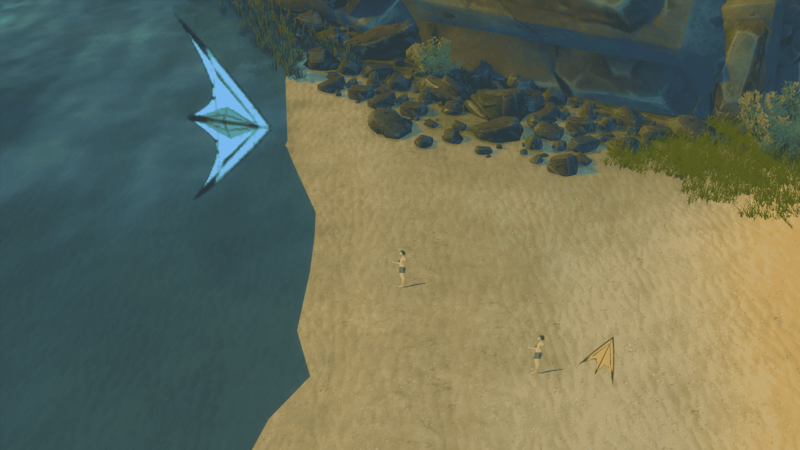 If you look around closely you’ll see Sim silhouettes in bikinis near the beach playing with kites. These visual effects seem to appear only in this beach-themed neighborhood. The Sims 4 Cats & Dogs is the only pack so far which brought new trees with autumn leaves to the game! Brindleton Bay is full of trees which seem to be impacted by the weather. 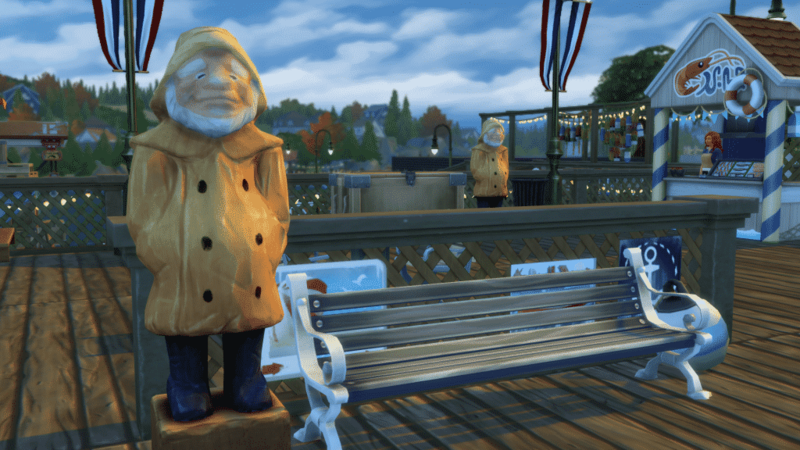 There’s another possible hint and that’s a statue of a man wearing a raincoat which you can find in Whiskerman’s Wharf. 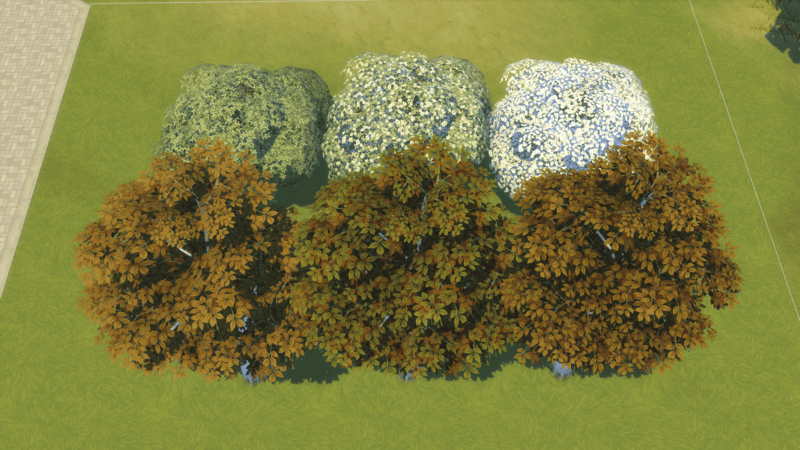 There are several new trees in this pack which come with presets that tell a gradual tale of a tree slowly decaying / blossoming (depending on which tree you picked out). Also, check out these object descriptions! What do you think – are we reaching too far with this post or is there actually something in here that could hint at Seasons coming soon to The Sims 4? Let us know in the comments! I agree that these are all hints to seasons coming next. Now for an even bigger reach: Sims 2 Pets was directly followed by Sims 2 Seasons. 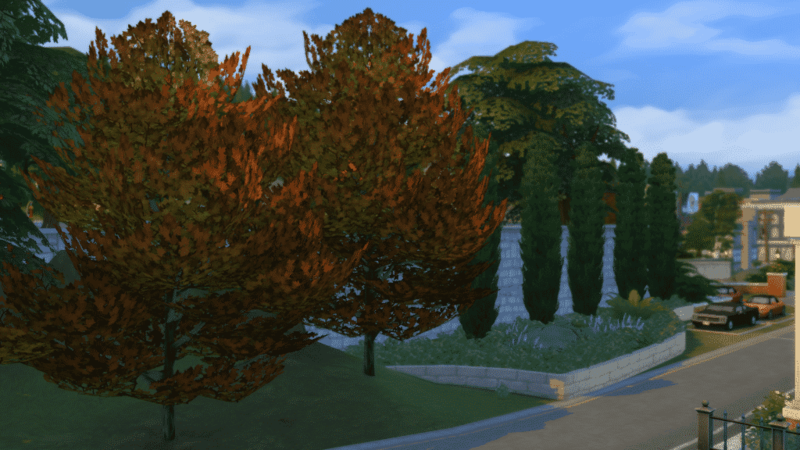 Sims 3 Pets also included autumnal colored trees in the world of Appaloosa Plains like they did here in Cats & Dogs. Sims 3 Pets wasn’t directly followed by Sims 3 Seasons like the case with Sims 2, but the expansions that came between them were Sims 3 Showtime (which we all know EA won’t be directly redoing again because it was largely considered a flop expansion) and Sims 3 Supernatural (which, again, won’t be redone as an expansion in Sims 4 because they’re doing supernatural states as game packs.) Sims 3 Seasons then followed Supernatural by a month or two. So if you remove Sims 3 Showtime and Sims 3 Supernatural from the line-up, as there’s no way EA will be doing an expansion like them again, the timeline becomes Sims 3 Pets and then Sims 3 Seasons. So it would make sense if they did Sims 4 Pets and then Sims 4 Seasons. I believe it will be a seasons 4 coming out next. But they need more worlds than they do everything Sims 3 got I believe Sims 4 getting them. 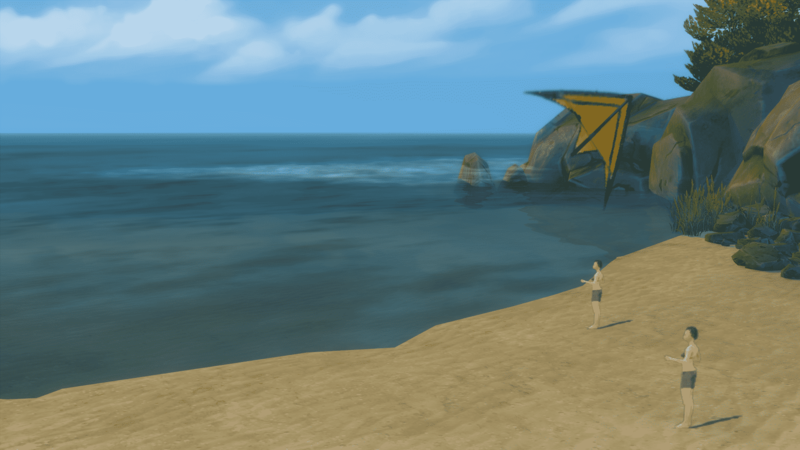 The kite animation also exists in Whiskerman’s Wharf, I believe. – We’ll get it as a SP/GP on the 6th month of the year, June. Or maybe it will be six months from the release of Cats and Dogs? Could be 6 days of pets like the 12 days of Christmas? Hint that we’ll see seasons before Christmas maybe? I have a question, can we skip packs that we don’t want, like I want Seasons but I don’t want Pet (or Cats and Dogs), can I get the Season and not get Cats and Dogs? Also several of the CAS items looked like they were hinting at seasons! At the top of my head I remember the shirt and vest for males with leaves on it! And also the uggs, and something that looked like rain boots, for kids!! And the dogs have winter hats! The cats also have a jumper with a snowflake on it! THERES A SICKNESS FOR THE DOGS CALLED WINTERBONE OR SOMETHING LIKE THAT!!! AHHH!! Soon or later seasons will come. I’d be interested to see if any of the new clothing items that look like jackets or cold weather gear might have an “outerwear” tag on them in the game files. But honestly, as much as I want seasons, I want spiral staircases, split stairs/landings, and Build mode CAS (like pets) implemented first. They’re more than capable of it, and I’d totally sacrifice a stuff pack/game pack for it. The beauty of theories like this, is that sooner or later Seasons is going to come out. It’s one of the biggest money-makers for The Sims, alongside Pets and all the other “core” EPs, like college, celebrities, vacations and magic. So, whether these are hints or not, we’ll inevitably get a Seasons pack, and inevitably people will go, “HA! I KNEW IT! THOSE WERE HINTS!” even if they’re not. Hey! There’s Russian site (link: thesimsclub.ru) which passes off your news posts as their own. I don’t think it’s OK. Maybe you should talk with the administration. Definitely hope Seasons is next. We already have Festive items, And seasonal trees, Now all we need is the seasons themselves! Seasons and Pets were by far the fan favorite expansion packs in previous games, It would make sense for Seasons to be next after the success of the Cats & Dogs pack. Especially with those hints in all the updates! I hope so I’m reallllyyyy excited about it!